If anyone is interested in earning some extra cash on weekends, the rides department is looking for some extra help on weekends from now until mid- October. It is an easy job and lots of fun. If anyone is interested, or knows anyone that is interested, please let me know. Hmmm. Cash transactions cannot be traced easily. Coney does not yet use direct deposit. They issue paychecks (no cash) every two weeks. 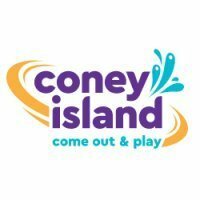 Coney is looking for ride operators to look weekends through mid-October. If you are interested in a part time weekend job, please send me a PM. Or if you know someone who is interested, let me know and tell them to contact me. And yes, Coney now offers direct deposit. Topic bump. It is that time of year again when schools start back up, and we look for people that can work weekends through mid-October to be a part of the rides crew. Pay will be $9.00 an hour. We offer flexible scheduling, and a fun work environment. If you are interested, please send me a PM. Your employee ID also gets you access to Sunlite Water Adventure and Coney`s classic rides the rest of the season. For those of you who are unaware, Coney was my first job, and I loved it so much that I have continued to work there as a Rides Crew Manager even though I have a full time architecture job. It really is a fun place to work. If you have always wanted to work in an amusement park running rides, now might be you chance. One of my fellow rides managers, Nick Shank, posts on these forums as well, and Kat, his wife, also posts on here. Robbie's in here trying to steal all the referral bonuses. In all seriousness, Coney is an awesome place to work. The end of the season is even more fun as the weather gets cooler and the entire feel of the park is a little bit more relaxed as a result. It's an awesome crew with lots of fun people, and some really great classic rides (one of very few places left in the country with a Tempest, for example). Have they found a GM yet? The GM got lost at the park? They’re looking for him. I think he’s under the couch with the TV remote. They had found one. Hired him, and he was there a couple of weeks, before he was abruptly let go. The search for a new park president continues.